And on Monday Kjarninn reported that Moussaieff Jewellers, the family company of Iceland’s first lady Dorrit Moussaieff, owned part in an offshore company in the British Virgin Islands from 1999 to 2005. In 2005, the company sold its share to the first lady’s parents. The company, called Lasca Finance Limited, is in the Panama papers. President Ólafur Ragnar Grímsson had been asked in an interview on CNN a few days earlier whether he or his family was connected to offshore companies and whether something would come to light about them. “No, no, no, no, no. That will not be the case,” the president said. 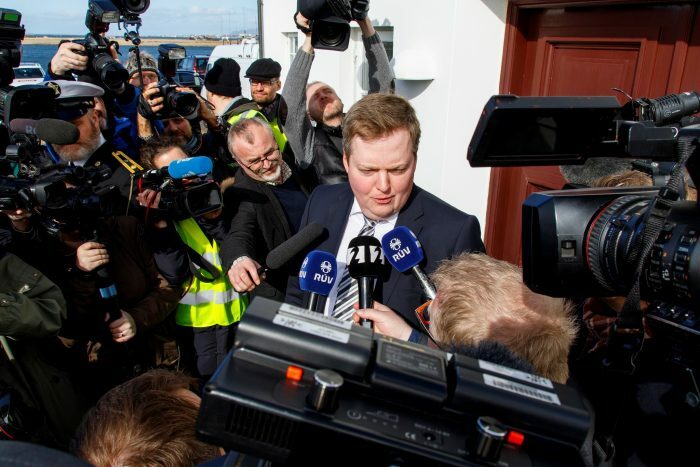 On Monday RÚV´s Kastljós published a story that shed further light on offshore activities of prominent Icelanders involved in politics, business or controling the vast Icelandic pension fund system. There it was revealed that Helgi S. Guðmundsson, who was the chair of the board of the Central Bank of Iceland, owned an offshore company in Panama with Finnur Ingólfsson, former MP, Minister and Governor of the Central Bank, in 2007. Landsbanki established the company for them and it seems that it was done in order to lend them money to buy shares in the bank itself. They were both high level members of the Progressive Party. The current general manager of the Progressive Party, Hrólfur Ölvisson, also had an offshore company, in the British Virgin Islands. The company was established in 2003 in order to hide investments in a Danish company. So did two executives of pension funds and they did not disclose that ownership to their pension funds, which they were required to do by law. Vilhjálmur Þorsteinsson, former cashier at the Social Democratic Alliance, and shareholder in Kjarninn, was also revealed to have a company in the British Virgin Islands. Ölvisson and the two pension fund executives have since resigned their posts. Þorsteinsson had earlier resigned as the cashier at the Social Democratic Alliance and has quit the board of Kjarninn. They join former Prime Minister Gunnlaugsson and City Council member Júlíus Vífill Ingvarsson on the list of people that have been forced to resign because of revelations in the Panama papers. A list that now counts six people.